So XBox Live Arcade brings the latest Tomb Raid— Oops. Still getting used to the title change. Let’s try again. During Microsoft’s Summer of Arcade, the XBox received a five week exclusivity deal for Lara Croft and the Guardian of Light. A completely different take on the traditional gameplay Lara is used to from the Tomb Raider series, this downloadable only title gives an overhead perspective mixed with two stick gunplay and puzzle solving. The control scheme of Lara Croft and the Guardian of Light seems simple enough. One analog stick moves, the other aims and the buttons help Lara dodge, jump, set explosives or grab objects. The game also attempts to assist players with certain jumps like leaping from the edge of a platform to one of Lara’s golden spears that can be used as an extra step. Unfortunately due to the 45 degree angle of the camera and the lack of feedback of hitting those perfect 45 degree angles from the XBox’s controller, some tasks become unnecessarily difficult. They aren’t challenging on purpose but because they are hindered by the game’s control scheme. Sometimes the auto-assist on the jumps sends Lara off in a direction you didn’t intend to take her. If you’ve been dreaming of a new Lara Croft movie and that Megan Fox will take over the role made famous by Angelina Jolie, then you’re not going to be very happy with this post. Still, this post does contain info about both subjects, which obviously you’re fond of if you’ve been having the above mentioned dreams, so read on. 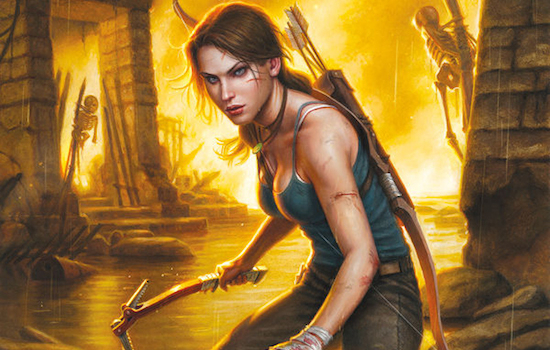 According to a recent interview with the Transformers: Revenge of the Fallen star, Fox is not interested in taking on the role of Lara Croft in a Tomb Raider reboot nor has anyone even offered her the role. Speaking after a press conference for Transformers: Revenge of the Fallen last week in Beverly Hills, Calif. Fox told a cluster of reporters that it’s a complete rumor. No one has offered her the role of Lara Croft or even spoken to her about it. Not only that, but even if they did, she wouldn’t be interested anyway. “I think that’s a role that Angelina Jolie mastered, and I would never attempt to take that over from her,” Fox said. Of course, in Hollywood that could also mean that people are talking with her about it and she is considering it but just playing hard to get. That’s just the way things work sometimes. So, don’t give up hope just yet. You might still end up seeing Fox doing backflips, firing two giant guns while wearing skimpy shorts and a clingy tank top. Its Hollywood, dreams sometime do come true. You may have figured out we’re fans of Megan Fox here at The Flickcast. We’ve not made a secret of it for sure. And yes, even though her obvious physical charms far outweigh her acting abilities (At least for the time being. She’s still improving), we still like to suggest her for upcoming roles we feel she would be perfect for. One such role would see the comely Ms. Fox playing the Amazonian warrior princess Wonder Woman in any feature film that eventually gets made. We think it would be a great role for her. The Times Online also claims Fox turned down the chance to take over for Angelina Jolie in the reboot of the Tomb Raider franchise, so don’t expect to see her doing backflips, firing two giant guns while wearing skimpy shorts and a clingy tank top any time soon. You hear that sound? That’s the sound of fanboys everywhere sighing in dissapointment. Check out the larger, fan-made, Megan Fox as Wonder Woman poster after the jump and enjoy it because that’s the closest you’re gonna get.